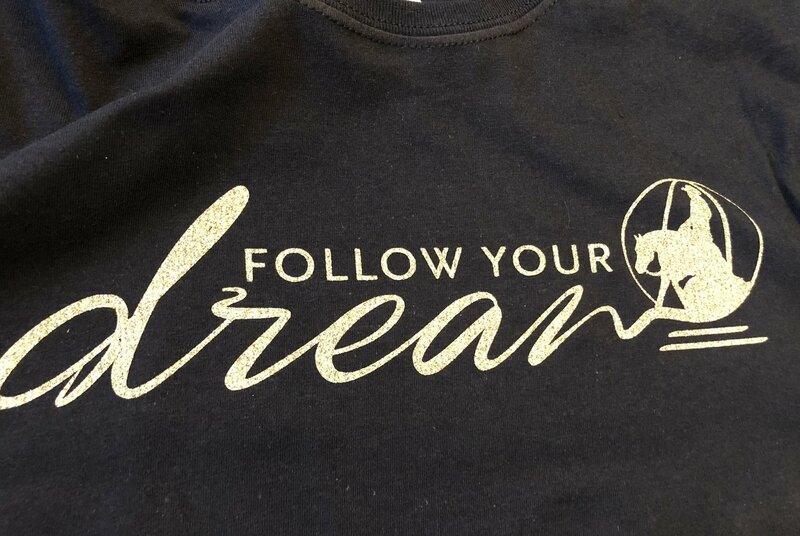 Show off your passion with our latest Follow Your Dreams design on nice fitted short sleeve shirts. Each item is handcrafted for a unique and truly custom look. Due to the nature of prints, please choose larger size of between sizes. Wash garments inside out with no fabric softener. Line dry or dry on low heat to prolong life.